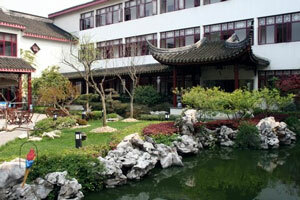 The Suzhou Garden View Hotel is by the canals in old Suzhou. The architecture of the hotel is in traditional Suzhou style with white walls and black tiles. 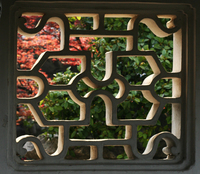 Gardens to visit while staying at include the Suzhou Garden View Hotel include The Lingering Garden, Lion Grove Garden, The Humble Administrator's Garden and The Surging Waves (or Blue Waves) Pavilion (Cang Lang Ting).